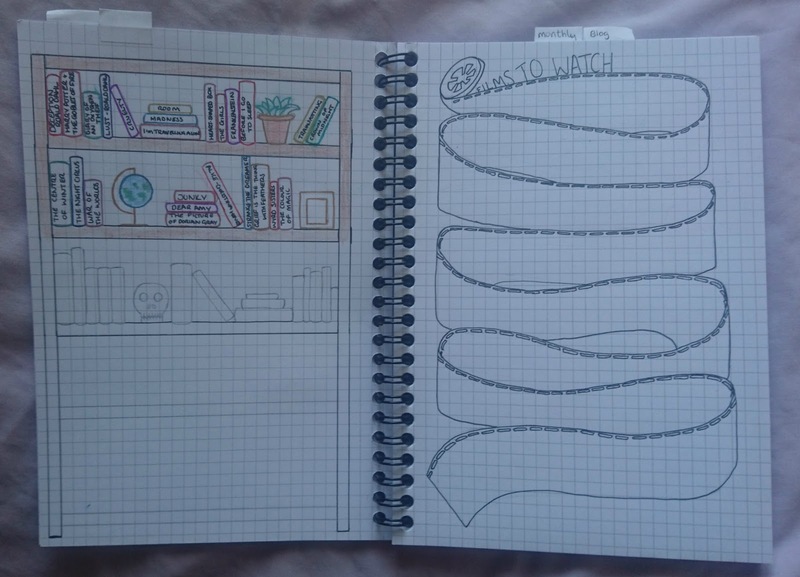 TheDarkeowl: Starting my Bullet Journal! 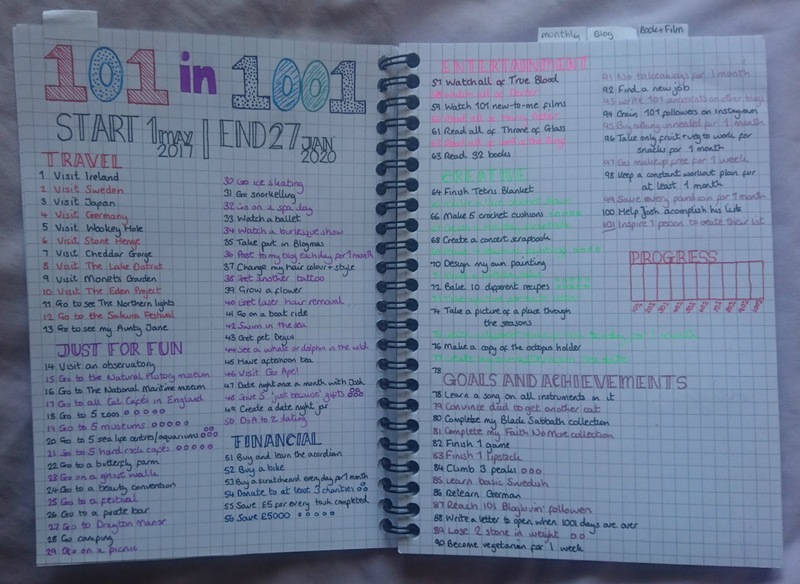 The 101 in 1001 wasn't the only thing I wanted to track in my journal. I also wanted to include blog stats to see how my blog was developing, and other monthly reminders that can be used in day to day life. 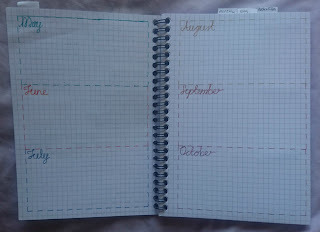 Like a lot of the posts I have read have said, your first bullet journal won't be perfect, and mine definitely isn't! There are some silly little mistakes and some thing I wish I had done differently, but considering I'm usually terrified of making a mistake and having to start again, I've just tried to incorporate them into the design! 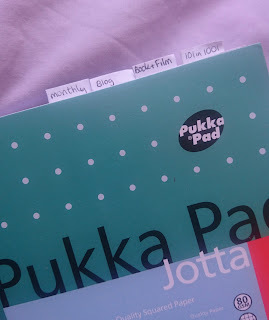 I have made my own little tabs out of labels to section of different parts of the journal, so that everything can be easily found and I'm not jumping from 1 page to another to find something! This was really easy and I'm actually really proud I did this because it just adds another little personal aspect to this otherwise ordinary notebook. 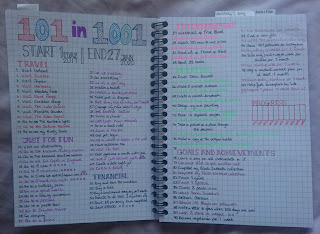 I'm pleased with how my initial 101 in 1001 page has turned out. 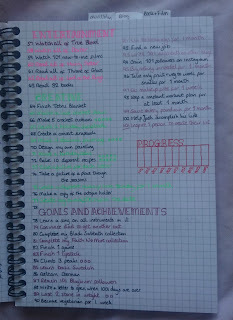 Like in my blog post, I sectioned out the goals to make it easier to see what needed to be completed. I did steal a few design ideas from a couple of other peoples' journals, but I can't remember who they were, so if you see this and think it looks like your journal, thank you! And I'm sorry! After this I have marked out the pages in thirds with the months that are involved so that I can keep track of any of the goals that I have completed in these months! I really like the look of these pages. With the numbered goals I put little circles next to them (apart from the book and film ones and other big numbered ones, because that would be ridiculous!) 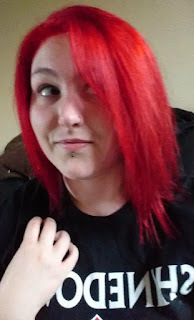 so that I could mark off the progress I had made. I also made a little percentage bar (again, a stolen idea) so that I could see how much left needed completing! This journal has made it even more fun to start my 101 because I can't help but look at the pages and add and change little details. 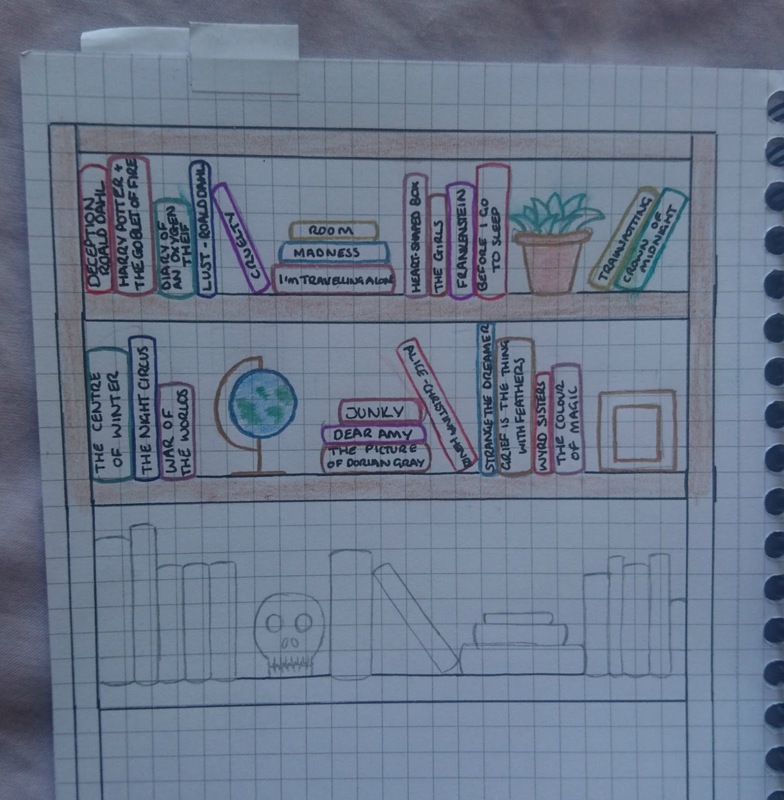 I also made a tab for books and films. 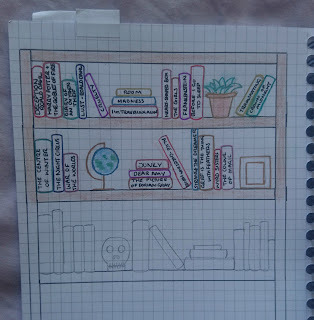 One of my 101 goals is to read 32 books and I designed a little bookshelf with the names of some books that I want to read on. Once I have read these books I plan on colouring in the book with the matching colour that they are outlined in! For the films I designed a (shoddy) film reel and I plan on writing the new films that I have seen on the tape and giving them a star rating! I've only designed the first 2 pages of this tab to see if they work and I enjoy using them. 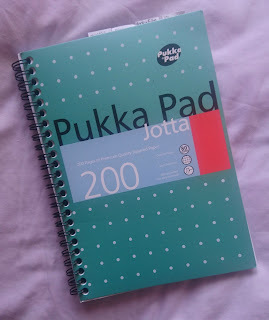 If I don't, then I will change it when I have filled these pages! 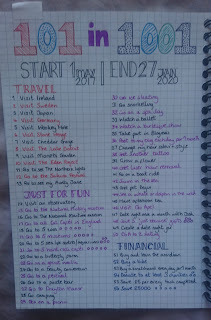 I have a blog planning section in there too. 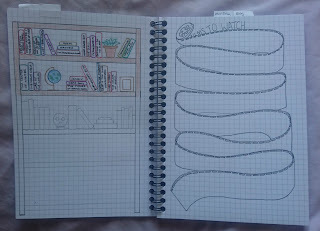 I haven't designed anything in there yet but I did create a computerised blog planner so I might just transfer that onto the paper version! I have the typical birthday list (which I'm actually really happy with) but I also have a quirky dates list, which has some unusual dates that I could use as inspiration for some of my blog posts! You may have seen a few of previous posts which are based on pretty weird dates throughout the year! I want to keep track of monthly occurrences so that I can how certain things are progressing. 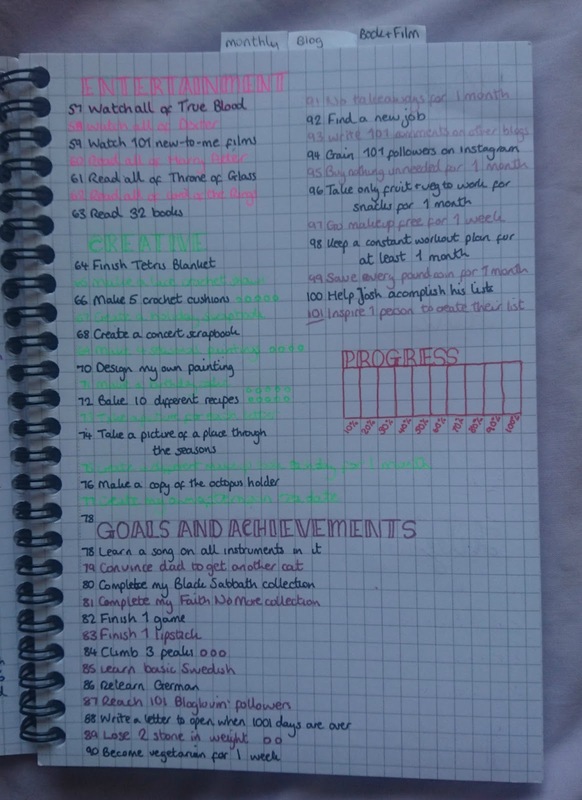 One of my big goals is to lose weight and hopefully if I keep track of my weight using my journal I will be able to lose more! 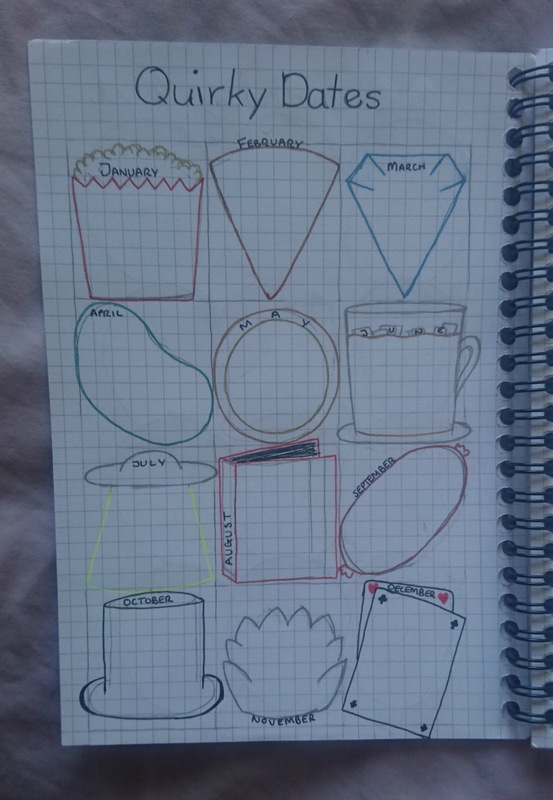 I wasn't sure how to design this page but I saw someone design a pac-man page (not for weight tracking) and I thought this would work for my weightloss page! I also want to track my workout schedule for the month to see what I can improve on. In short terms, I'm lazy, but I don't want to be. So I want to find a way that will get me more active and hopefully this will be one step to me being healthier. I haven't designed these pages yet though so I might do a few more posts on this journal when it has been updated! Looking through some other bullet journal inspo, I saw the mood managers and the gratitude diaries. I really liked the design of some of these and although I'm not sure how frequently I will fill them in, I am definitely going to give them a shot because they just add something to the look of these journals! 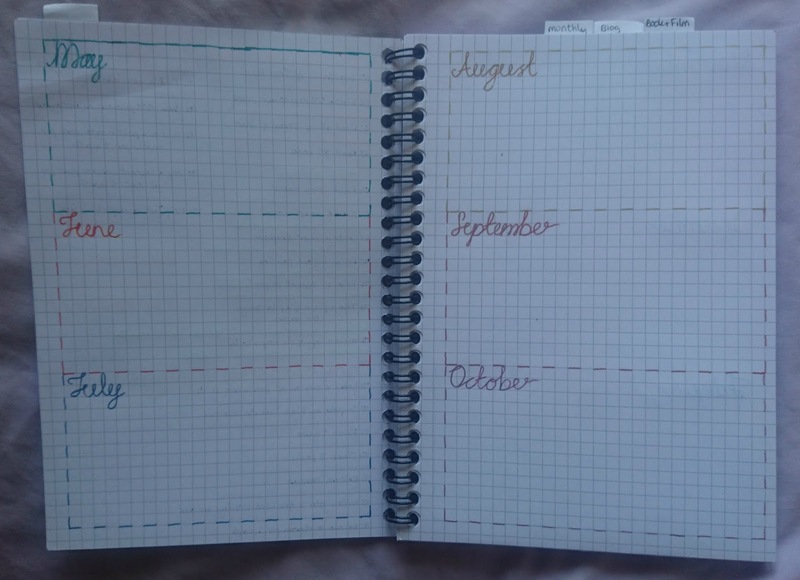 I'm hoping to do continued updates on my bullet journal, so lets see how that goes because I have really enjoyed designing everything I have so far! Have you got a bullet journal? Do you have any tips that could help with mine? Or have you been inspired to create one? Let me know!